You wake up early in the morning, and all you feel is that you are extremely sick. You can't even work, let alone walking. All you need is go back to sleep and give your head rest. A long peaceful rest, where you need zero distraction. Well, that is what headaches do to ordinary people. But the good news is that Dr. Nektalov won't let you have this awful experience. But before we get into what Dr. Nektalov can do it is the time you knew. The 3 Types Of Headaches That Everyone Needs To Know. They are different types of headaches. All of them comes with different symptoms, length, and treatment of head pain. It occurs as a result of the muscle tightening of your head. 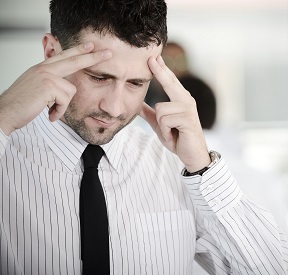 Tension headaches usually last long and have some throbbing pain accompanied with it. If not treated it can be lead to chronic tension headaches. This type of headaches center around a particular place in a person's head. Sometimes it can concentrate around the eye or forehead. When you are suffering from cluster headaches, you may get them once and then go for weeks, months or even a whole year without having them. 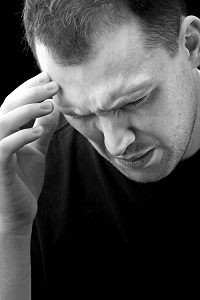 Migraine headaches are usually accompanied by nausea. 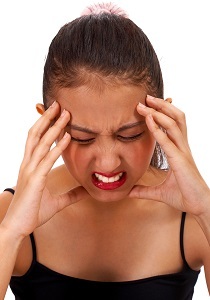 When you have migraine headaches, you will always avoid things like light or sound. The reality is that light, sound or anything else can cause more pain for you. Things That Cause You To Have Headaches And What To Do About Them. Several things cause headaches which you can avoid. One of the most things that causes headaches is stress. The amount of stress level that you have from work or daily lives, when they escalate, then you have headaches. Your body just tells you that you need to get a good rest and the only way, you will respond to that is by having headaches. Your level of blood sugar can make you have a headache, especially if you are an obese person. Sometimes the environment that you are confined can cause you to have a headache. And the best way for you to get rid of this is to change your environment. You storm into a new place, and all you hear is noise. Disturbing sounds that cause you to have headaches. All these things happen when your blood vessels and nerves experience certain issues that trigger chemicals, resulting in swelling and severe discomfort. How To Overcome Regular Headaches. Take regular exercise. Exercise helps you to relieve and even tone your muscles. When at work or if you know that you are going to be sitting in a particular place for a long time, it pays a lot to maintain a good posture. A stooping position can cause you to have headaches after work. That is why most people experience headaches after a long day of work. Give your body all the treats that it needs. Cherish it and you will live a non-stressful life. The best thing that you can do for your body is to eat a well-balanced diet. Make sure that you drink eight glasses of water and take a good night sleep. Fortunately, you can end your headaches today, thanks to Dr. Nektalov. He will identify the soft tissues that are experiencing the most pain and use noninvasive therapy to work on the tension. He will reduce any swelling and get your blood circulating back on track.